This little one is juggling cool and gentle-at-heart. 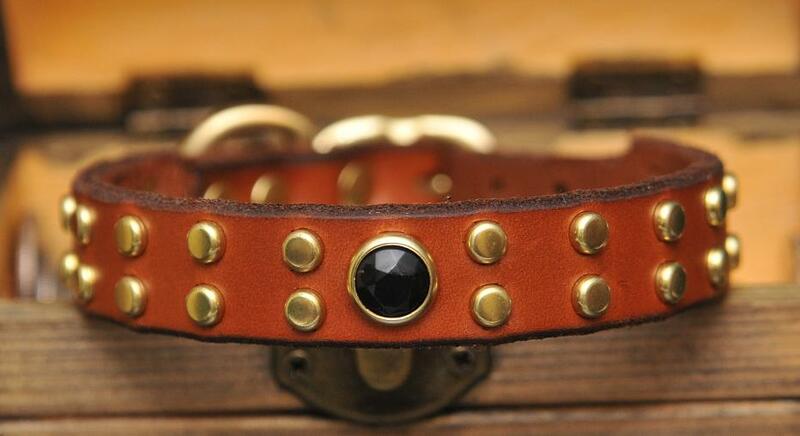 This is a 5/8" wide collar, tapered to 1/2" at the buckle for extra comfort for your small dog's neck. It is centered with one rhinestone, and along the length of the collar are double rows of small flat round spots. Capping off the design is one last rhinestone on each side. This collar is meant for a small dog. If your dog is big and strong, please look around our site at our other collar selections. Thank you.